Disposable gift wrap? No thanks! Not when you've got beautiful gift bags that can be reused 100's of times over. It won't wrinkle or rip like a paper bag and can be custom designed to your needs! 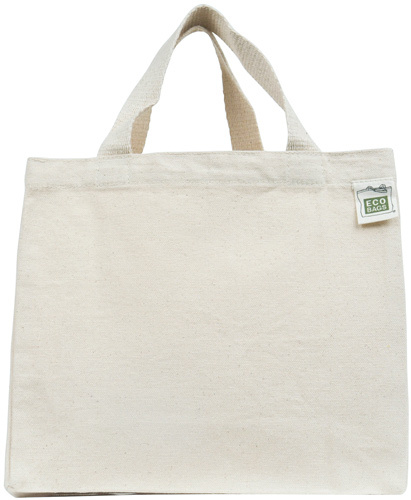 Made from 100% recycled cotton with sturdy handles and double-stitched seams, this gift bag will keep on giving. Also, a great size for kids' totes!